Rompers, hot daytime makeup that beats the heat and spa deals to help keep that youthful glow. Hot daytime makeup that beats the heat. ROMPER ROOM: What's cooler and flirtier than a dress in the summer? Not much. However, today's dress styles are short and sweet, and can be precarious in the slightest breeze. Enter the romper, which is taking it's rightful place among San Diego clothiers. Local designer Fables by Barrie brings the Dottie Romper to her Spring/Summer '09 line, and its charm and color rival anything in your closet. With an adjustable halter and back tie, it's at once forgiving and easy to slip on. It can be purchased from the Fables by Barrie site for $132. If polka-dots aren't your style or you just want a few more options, Mimi & Red in North Park offers a variety of prints for around $35. If you can't find one you like, try again in a few days. They update their selection every week. BRIGHT EYES: Summer makeup can be a tricky thing if you extend beyond powder and blush, and eye makeup in particular is susceptible to meltdowns. The MAC Cosmetics makeup counter in the Fashion Valley Mall offers a simple solution: use Paint Pots as a one-step eye tint AND a base for other colors. Indianwood is a light bronze/gold color that is bright enough to make your natural eye color pop and neutral enough to layer nicely with other shades of browns, greys, reds and purples. At $16.50 each, they won't break the bank, either. 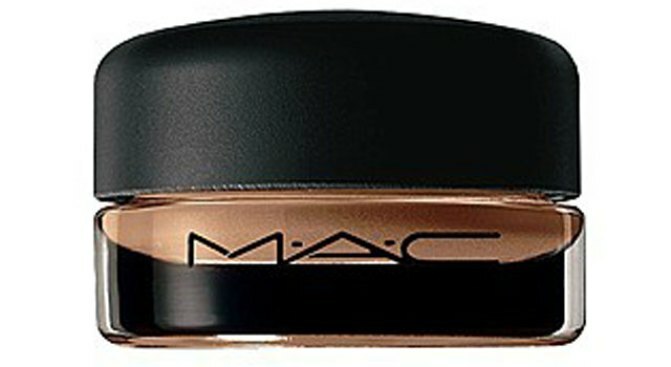 Also at MAC, Mineralize Skinfinish "Smooth Merge" blushes are back for a limited time and only available in-store. Each compact contains three different colors that can be used to highlight, bronze, blush or generally brighten up the face, and can be used on the cheeks, eyes and even the lips. It's a little pricer at $27, but it does the work of multiple products and instantly updates any look. BEAUTY REST: You can put on your best outfit and most expensive cosmetics, but if you're tired and stressed it's hard to look your best. The Carlton Hair Salon & Day Spa in the Fashion Valley Mall is offering massages and Brazilian waxes for $45 each, and a set of two air brush tan sessions for $60 through the end of July. Save your skin, your sanity, and your pocketbook all at once.